With the Oriental Dragon Battle Axe in tow, trust that the power, strength, and good luck of the Chinese dragon will follow you into battle. 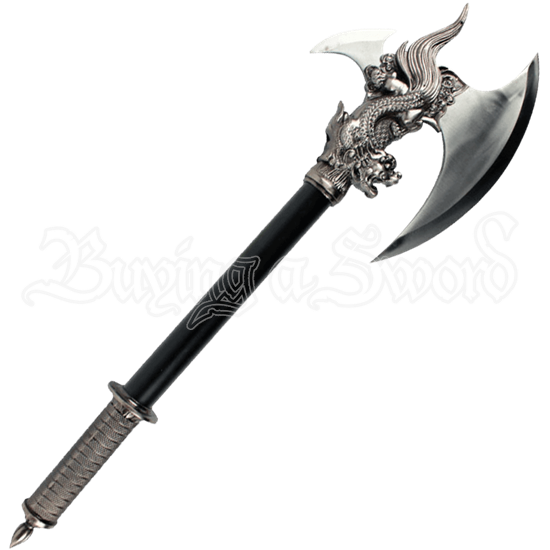 With its beautiful, ornate details, this is a fascinating weapon to add to your collection. 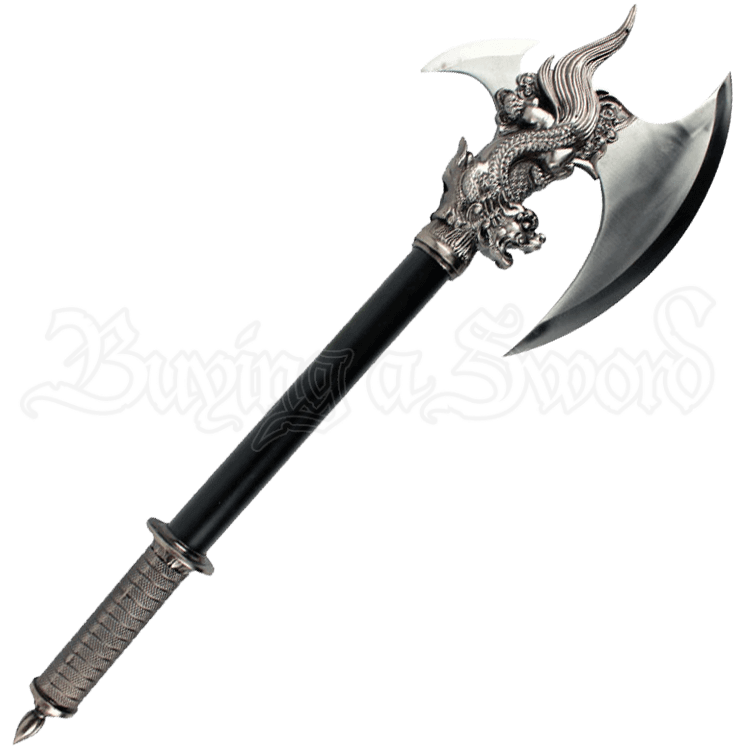 The single bit blade of this fantasy axe comes slightly sharpened. The stylized blade and black handle are crafted from stainless steel. A metal cast of a Chinese dragon secures the head to the handle while the textured grip detaches to reveal a dagger.